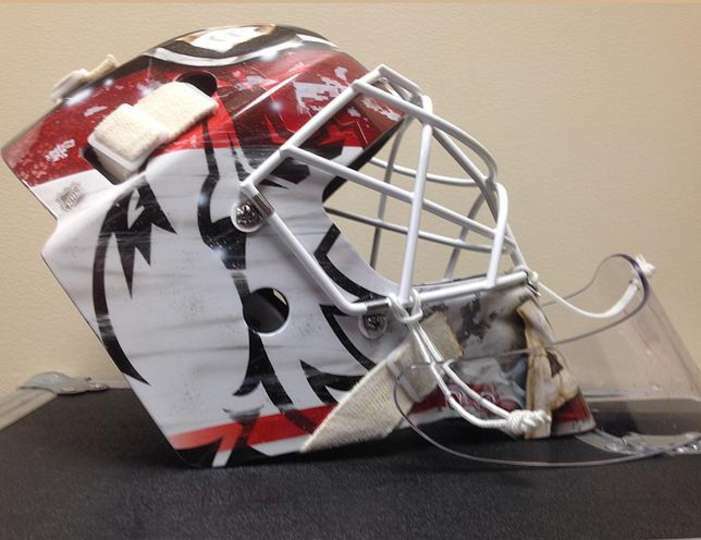 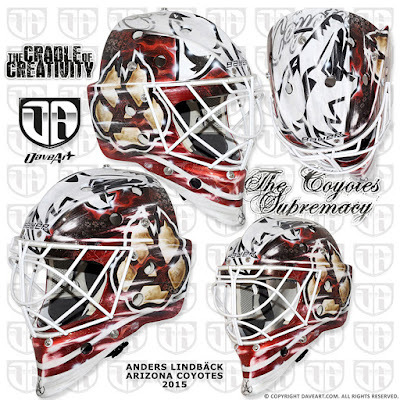 Lindback's first mask got broken in October, so he had to wear an all-white mask (see below) while a new one was being painted. 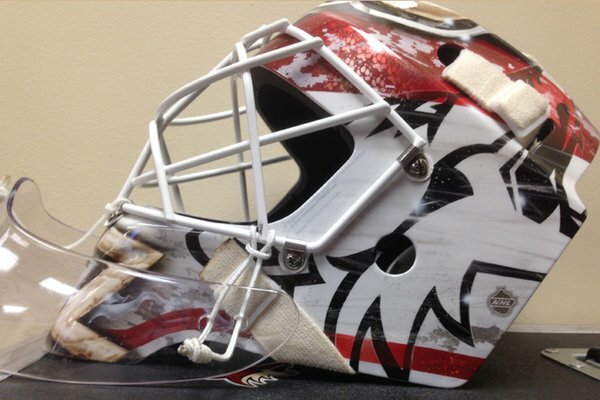 Here is the new mask debuted in December. 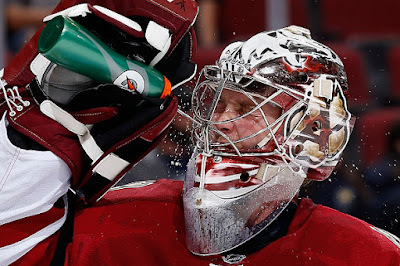 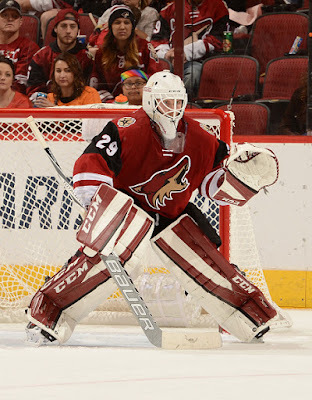 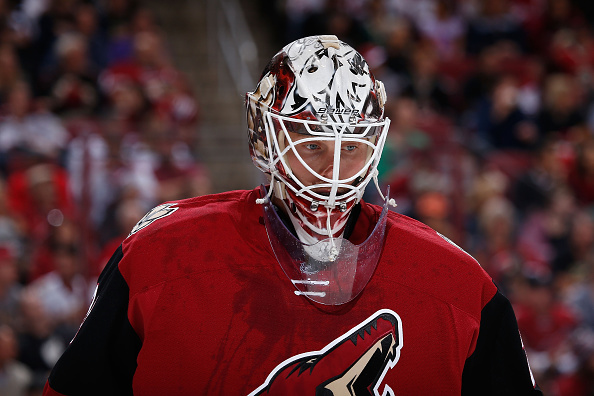 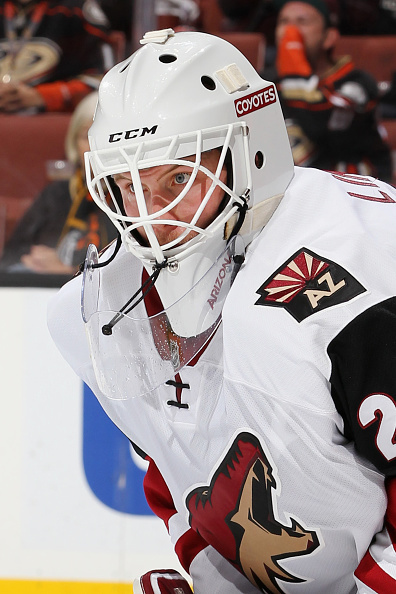 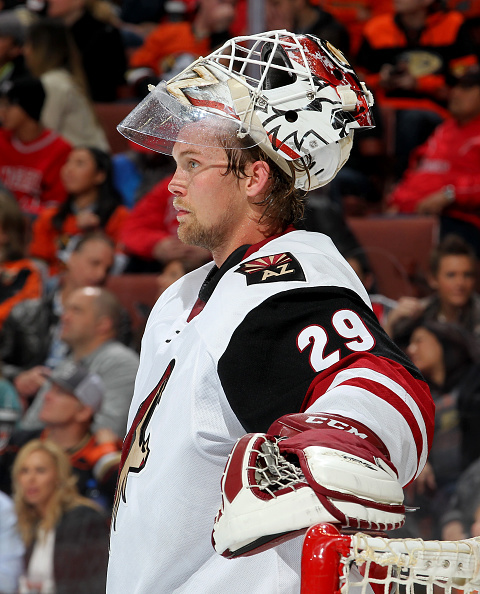 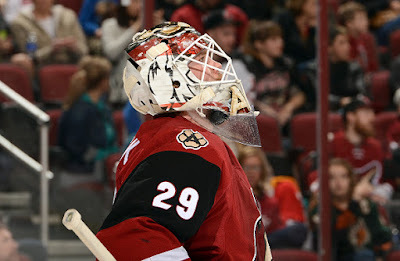 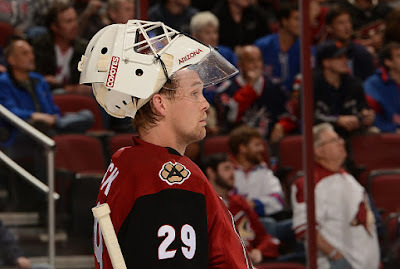 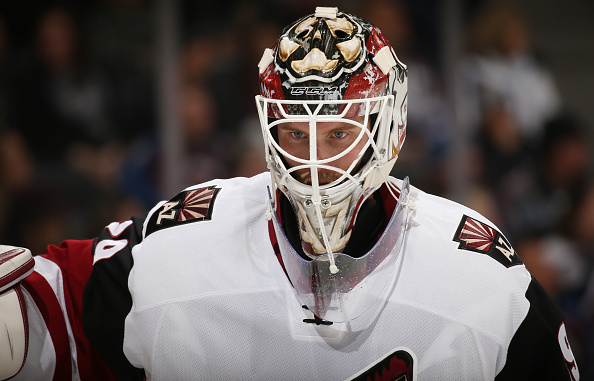 Lindback wore the above mask through the October 20, 2015 game. But beginning with the October 24th game he was wearing this all-white mask. 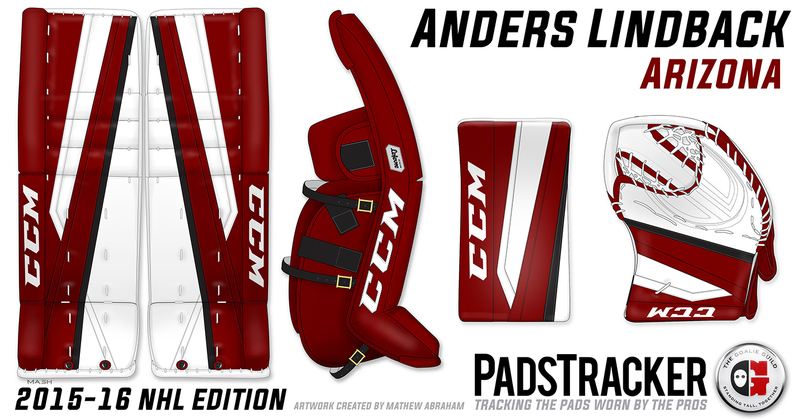 The first mask was Bauer, and the next is CCM. 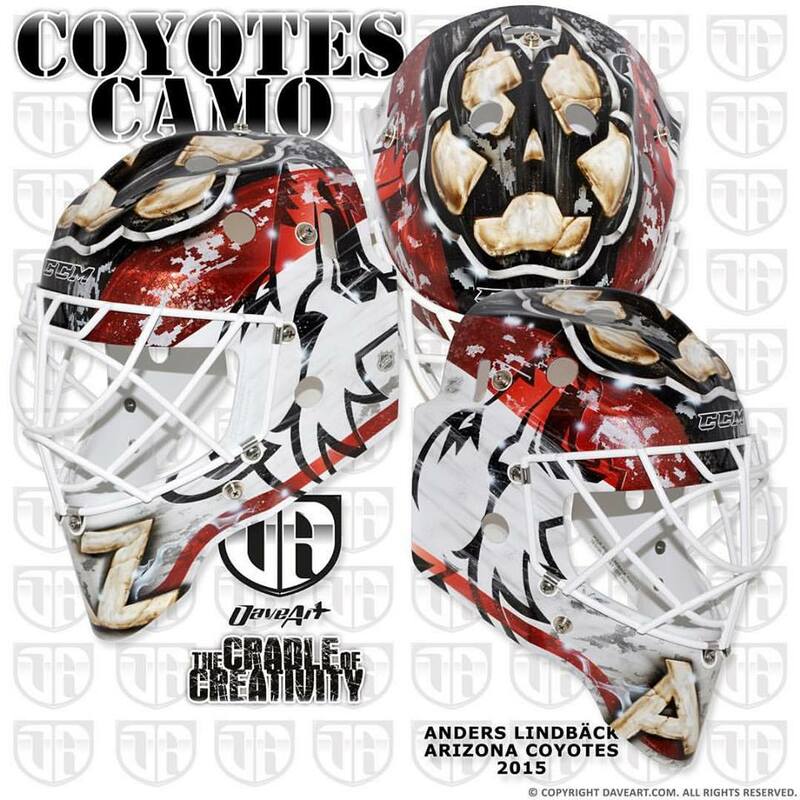 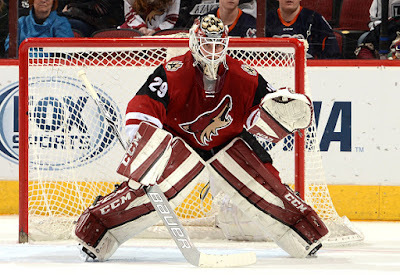 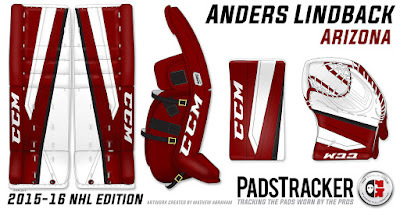 To confirm, yes-Lindback did start with a Bauer mask, and he swapped to a CCM mask. Thanks! 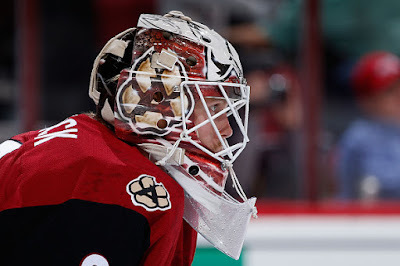 I just checked recent photos and it still seems his mask is white also. 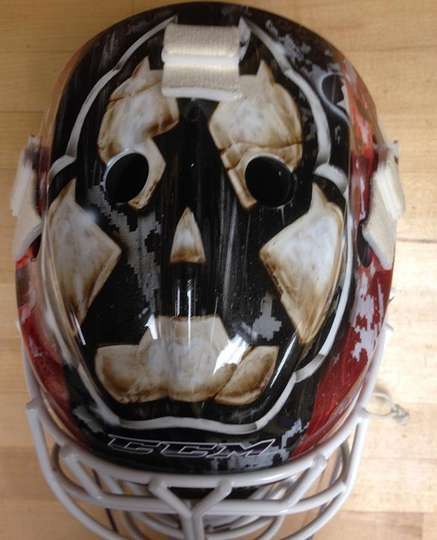 I'll continue to check to see if he gets a painted one.